Students were asked this year what issue they would address first if they were leader of the free world. We've heard about human rights, nuclear energy, wind power, diversity, the economy, civil unrest and more. The fresh perspectives offered by the students provide hope and let us imagine what life may be like in the future. What if we were to ask our Optimist Club leaders and members to answer similar questions about the future of the organization? What new project would you start if you were the president of your Optimist Club? How would you bring Optimist Club leaders together in your zone if you were lieutenant governor? Where would you focus your attention if you were the governor of the Pacific Northwest District? 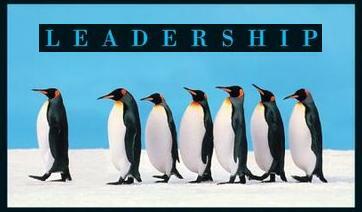 It is that time of year when we actively recruit new leaders. If you have a new, better, or different way to conduct business that you want to recommend to your peers, don't be shy. Step up and offer to lead. Club officer-elections should be held in the next thirty days and the club offer-elect report should be completed online by May 20 at www.optimistleaders.org. We will elect lieutenant governors for each of our ten zones at the District Meeting, April 29-30, Salem, Oregon. Register now. The position of governor-elect is filled during the PNW District Convention. The convention will be held in Bellevue, Washington, August 26-27. The time to announce your candidacy for governor-elect is now. For more information about District office, to place your name into consideration, or to nominate a potential candidate, please contact Candidates Qualifications Chair Linda Jackson, 208.861.2310.